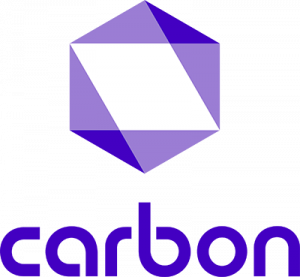 Carbon® is a registered trademark of One Finance & Investment Limited (“OFIL”). As the data collector, OFIL ("we" “us” “our”) are committed to protecting and respecting your privacy. This policy sets out the basis on which any personal data we collect from you, or that you provide to us, will be processed by us. Please read the following carefully to understand our views and practices regarding your personal data and how we will treat it. By visiting https://getcarbon.co (“our site”) you are accepting and consenting to the practices described in this policy. Please note that by clicking the “Connect with Facebook” button you are agreeing that Facebook may share personal data held by them with us. The collection and processing of your personal data is in accordance with the National Information Technology Development Agency Act 2007 (the Act) and the provisions and prescriptions of Section 5; Part 1 and Part 2 of National Information Systems and Network Security Standards and Guidelines. You may give us information about you by filling in forms on our site https://getcarbon.co and by allowing us to access your information on social media sites (including but not limited to Facebook, Twitter and LinkedIn) or by corresponding with us by phone, e-mail or otherwise. This includes information you provide when you register to use our site, apply for a loan, search for a feature (for example but not limited to, loan amounts, currency, loan duration), your activity levels on boards or other social media functions on the applicable social media sites, the applications you use on social media sites, and when you report a problem with our site. The information you give us may include your name, address, e-mail address and phone number, login information for social networking sites, financial and credit card information, personal description, current and former places of employment, education, names of colleagues, contacts and friends, photographs, and lists of family members. 1. Information you give to us. f) to ensure that content from our site is presented in the most effective manner for you and for your device. 3. Information we receive from other sources (including social media sites). b) We may combine this information with information you give to us and information we collect about you. We may use this information and the combined information for the purposes set out above (depending on the types of information we receive). b) Advertisers and advertising networks that require the data to select and serve relevant adverts to you and others. We do not disclose information about identifiable individuals to our advertisers, but we may provide them with aggregate information about our users (for example, we may inform them that 500 men aged under 30 have clicked on their advertisement on any given day). We may also use such aggregate information to help advertisers reach the kind of audience they want to target (for example, women in Lagos State). We may make use of the personal data we have collected from you to enable us to comply with our advertisers’ wishes by displaying their advertisement to that target audience. You have the right to ask us not to process your personal data for marketing purposes. We will usually inform you (before collecting your data) if we intend to use your data for such purposes or if we intend to disclose your information to any third party for such purposes. You can exercise your right to prevent such processing by checking certain boxes on the forms we use to collect your data. You can also exercise the right at any time by contacting us via email at customer@getcarbon.co. Our site may, from time to time, contain links to and from the websites of our partner networks, advertisers and affiliates. If you follow a link to any of these websites, please note that these websites have their own privacy policies and that we do not accept any responsibility or liability for these policies. Please check these policies before you submit any personal data to these websites.